Rankings in Freedom in the World 2016: Status: Free. Freedom Ranking: 2; Political Rights: 1; Civil Liberties: 3. (Note: When first selected for comparative study in the category of freedom of association, Tunisia was designated by Freedom House as “partly free.” With its adoption of a constitution and holding of free elections in 2014,Tunisia improved its political rights ranting to 1 and moved to the category “free” in the Freedom in the World reports for 2015 and 2016. Its civil liberties rating remains 3. For purposes of Democracy Web, Tunisia remains an excellent country study for examining the role of freedom of association in evolving conditions of transition from dictatorship to democracy. An interim government broadly expanded civil liberties and political freedoms and organized free elections in October 2011 for a National Constituent Assembly. The leading party, the moderate Islamist Ennahda party, formed a government in coalition with two left-leaning secular parties. After more than two years of intense national dialogue among secular and Islamist political parties, together with trade unions and civil society organizations, a compromise on a new constitution was reached in February 2014. The Ennahda-led government resigned in favor of a transitional one prior to new elections held at the end of 2014. The trade union movement in Tunisia played an important role in the country’s national independence movement, actively engaged in the Arab Spring revolution, and was crucial to mediating the constitutional agreement during the transition. Tunisia is nestled between two much larger neighbors, Libya to the east and Algeria to the west. Today, 98 percent of its population of 10.9 million people identify ethnically as Arab and religiously as Sunni Muslim. Only small Christian and Jewish communities survive. As a center of agriculture, trade, and commerce, Tunisia is a middle-income country. For 2014, the IMF ranks the country 83rd in the world in nominal GDP (at $48.3 billion). Tunisia’s GDP per capita is in the world’s bottom half: 110th in nominal GDP per capita ($3,985 per year). Tunisia was ranked 76th out of 167 countries and territories in Transparency International’s 2015 Corruption Perceptions Index. The territory of Tunisia was inhabited as long ago as 4,000 BC by the ancestors of the Berbers, northern Africa’s indigenous tribal people. Between 1000-800 BC, Phoenicians expanded their trading empire from the eastern Mediterranean to the North African coast, with the most important city being ancient Carthage, which developed its own empire. Carthage nearly defeated Rome in the Punic Wars (265-146 BC) but was forced into submission by the Roman army in 202 BC. Although the ancient city was razed in 146 BC, the Carthaginian province served as the Roman Empire’s North African stronghold until Rome’s fall, whereupon it came under the control of the Vandals. The territory was conquered by Arabs in the 7th and 8th centuries, and the population was largely converted to Islam. Tunisia thrived under the political control of different Arab Caliphates and Arab-Berber dynasties and it continued to be an intellectual and economic center after the Ottoman Empire seized military control in the mid-16th century during its expansion across northern Africa. Tunisia gained effective autonomy under the Turkish Beys, but in 1881 the French forced the Ottomans to cede the country as a French protectorate. Throughout Arab, Turkish, and French administrations, Tunisia was ruled by elite classes of foreigners. The indigenous Berbers, having their own language, culture, and customs, were generally left behind both economically and educationally. Under the French protectorate, around 250,000 French immigrants, known as colons, and an equal number of Italians, settled in the country. After the Allies defeated the Axis forces in the Africa Campaign, independence forces grew stronger. France’s Gaulists focused on retaining Algeria, so the French administration negotiated a transition to independence. In 1956, elections were held and won overwhelmingly by the New Constitutional party, later renamed the Socialist Constitutional Party, under the leadership of Habib Bourguiba. The new secular government adopted a new constitution with centralized powers in the presidency. Bourguiba was elected president and quickly established a one-party state, repressing all opposition. He was later declared President-for-Life in 1975. Although a dictator, Bourguiba professed himself to be a pro-Western modernist opposed to both the pan-Arabism of Egyptian leader Gamel Nasser and Islamic fundamentalist movements. He fostered women’s rights to a level unmatched in the Middle East and North Africa. [A] Bourghuiba's dictatorship lasted 31 years, with varying degrees of harshness. . . . Ben-Ali thereafter presided over one of the world's most repressive states. Bourguiba’s dictatorship lasted 31 years, with varying degrees of harshness. In 1987, the failing president, suffering from dementia, was declared medically unfit to serve and replaced in a bloodless coup by Prime Minister Zine El Abidine Ben Ali. Initially, the new president carried out some political liberalization, freeing political prisoners and allowing multiple parties to run in elections held in 1989. He renamed the ruling party to the more centrist sounding Democratic Constitutional Party (RCD) to separate himself from Bourguiba’s policies and cult of personality. This mild liberalization, however, was quickly replaced by a prolonged political crackdown when the Islamic Renaissance Movement, a branch of the Muslim Brotherhood begun in Egypt, gained strong public support in the 1989 election campaign and threatened to displace the RCD. The RCD claimed an implausible 90 percent of the vote in elections. Ben Ali then banned all Islamist parties, arrested 8,000 of their followers, and re-imposed strict censorship. Ben-Ali thereafter presided over one of the world’s most repressive states. Elections were completely controlled without any serious opposition (the ruling party and Ben Ali regularly claim 90 percent of the vote in staged parliamentary and presidential elections). Ben Ali continued Bourguiba’s polices of fostering secular modernist policies, advancing women’s rights, and simultaneously allying Tunisia with both Western and Arab states. Education was extended to a broad sector of the society, including girls. But Ben Ali’s economic policies left Tunisia undeveloped. The country’s wealth was concentrated in a loyal elite, while the average per capita income fell to the bottom half of the world economy. Regardless of conditions, Ben Ali was determined to perpetuate his dictatorship indefinitely. A subservient parliament voted to allow Ben Ali to run for a fifth term in 2009. Soon thereafter, it adopted a constitutional amendment allowing for a sixth term in 2014. By 2010, however, civic and political resistance to the regime had grown. The society’s dissatisfaction with political and economic stagnation intensified. Local and regional branches of the trade union federation (see below) were asserting greater autonomy as were political, civic, and student movements. In response, the parliament passed a law criminalizing political opposition, which it claimed was being fomented by “foreign powers.” In December 2010, an unemployed university graduate, Mohamed Bouazizi, trying to make a living as a fruit vendor, set himself on fire in a protest against ongoing police intimidation. As news of the tragedy spread, the self-immolation became a symbol for the population’s frustration with the government’s, arbitrary repression and rampant corruption. A nationwide protest movement erupted. It intensified when Bouzizi, who was severely burned, died of his injuries on January 5, 2011. The police and military reacted to daily demonstrations demanding the government’s ouster with brute force, killing a reported 219 people over one month. But the non-violent protests grew as trade union and student union movements decided to participate. As public pressure mounted and support from the army weakened, Ben Ali fled to Saudi Arabia on January 14. Prime Minister Mohammed Ghannouchi declared a new government and promised change, but independent politicians and trade union leaders quickly withdrew from participation when Ben Ali loyalists dominated the top posts. The protest movement continued until Ghannouchi finally resigned at the end of February. Béji Caïd Essebsi, a respected former foreign minister and retired MP known for his reform efforts under the previous authoritarian regimes, replaced Ghannouchi as prime minister and put together an independent transition government. He quickly expanded political freedoms and civil liberties. Newly assertive courts dissolved the official Democratic Constitutional Party in March. The High Court tried Ben Ali and his wife in absentia in June, sentencing both to 35 years’ imprisonment on charges of state theft. [After the overthrow of Ben Ali], media, political parties, and civil society organizations, including trade unions, emerged or transformed themselves in a new environment generally free of government repression. Media, political parties, and civil society organizations, including trade unions, emerged or transformed themselves in a new environment generally free of government repression. A wide range of secular, moderate Islamist, and radical Islamist political forces quickly organized themselves to compete in democratic elections held in October 2011 to form a National Constituent Assembly (NCA). The NCA was charged with overseeing a democratic transition government, drafting a new constitution, and preparing the next elections for a new parliament. The moderate Ennahda (Renaissance) party won a strong plurality of 37.5 percent of the vote and 90 out of 227 seats. A number of secular parties, including some tied to the old regime and representing different ideologies, divided about 50 percent of the vote. More fundamentalist Islamist movements split the remaining 15 percent. Ennahda formed a government with the two largest secular parties, the liberal Congress for the Republic (CPR) and the social democratic party Ettakatol, which together had received 15 percent of the vote. The three parties divided political positions to establish some checks and balances on political power: Ennahda’s Secretary General, Hamadi Jaferi, became prime minister; CFR’s leader, Moncef Marzouki, was elected president; and Ettakatol’s Ben Jaafar was elected president of the NCA. The government consisted largely of former political prisoners or political dissidents who had returned from forced exile. The NCA began a prolonged debate over the drafting of a new constitution. The timetable was for a new constitution to be adopted for free elections in June 2013 but these were pushed back amid a deadlock between Islamist and secular political parties. The largest party, Ennahda, represented a spectrum of moderate to conservative Islamist views and sought to introduce a range of religious principles into the constitution. Non-religious parties, backed by civil society organizations, strongly defended Tunisia’s secular political traditions and resisted religious proscriptions within the constitution. The debate over the constitution was remarkably open. Many different national dialogues took place within civil society. Vigorous discussion among the main political factions was reported in a newly thriving free media. But the debate also took place amid economic distress and growing political violence. Radical Salafists, a fundamentalist Sunni movement, organized attacks on alcohol venders, women not wearing Islamic dress, and a range of secular political targets that included the headquarters of the UGTT trade union federation, the U.S. embassy, and security buildings. The assassination of an outspoken political opponent of the Salafist movement in February 2013 sparked national protests demanding that the Ennahda-led government take action to curb religious extremism and violence. Prime Minister Jabeli resigned when the Ennahda party rejected his proposal to calm the situation by forming a technocratic government until new elections. Jabeli was replaced by Interior Minister Ali Laarayedh, who pledged to crack down on violence and destroy Salafist military camps. The leader of the trade union movement, the UGTT, which had been part of the national protest . . . created the National Dialogue Quartet . . . in order to mediate a national agreement. The agreement, however, did not result in adoption of a final draft. Fundamental issues remained, including a demand for formal constitutional recognition of Sharia law. In July, a second political assassination of a popular secular politician, deepened public fears that Ennahda was unable to control political violence. Protests demanded the resignation of the Ennahda-led government, which secular parties accused of delaying a final agreement on the constitution in order to entrench itself in government structures. The leading opposition party, Nidaa Tounes (Call for Tunisia), led by former Prime Minister Essebsi, and other parties pressed for the government’s resignation and establishment of an interim government pending new elections. As political protests grew, the secular parties withdrew their members from the NCA, preventing a quorum for further debate on the constitution. The leader of the trade union movement, the UGTT (see below), which had been a part of the national protest movement, stepped in to calm the situation. He created the National Dialogue Quartet (including also the main employer group and two respected civic organizations) in order to mediate a national agreement between the government and secular opposition parties that established a road map for Tunisia’s political future. The Ennahda-led coalition agreed to resign and turn power over to an interim government prior to elections, but only following the adoption of a final constitution, not before. There was further deadlock on the composition of the interim government and adoption of the constitution, but in mid-December, Essebsi and Ghannouchi, the leaders of the two main political parties, agreed to meet in Paris. They compromised on the prime minister of an interim government, who took power in January 2014 and agreed to a process for resolving the remaining disputes over the constitution. Tunisia’s French colonial administration allowed independent trade union, civic, and political organization and trade unions played an important role in achieving independence. During 55 years of dictatorship, Tunisian trade unions and other groups retained enough independence that they could also play a significant role in overthrowing the dictatorship during the Arab Spring. The Tunisian labor movement has since contributed significantly to achieving democracy and mediating political conflict between religious and secular political parties. Today, even as Tunisia battles religious violence and faces large economic challenges, the country stands apart among Arab and North African neighbors as a country respecting freedom of association and other freedoms. The Tunisian labor movement developed under French colonial administration at the turn of the century. Influenced by political and trade union movements in France, it was heavily accented by political goals. Protests for the right to strike were first organized against the colonial administration in 1924 by a communist-led federation, but it was severely suppressed. When the French administration formally allowed organizing of trade unions in 1932, most of the newly formed Tunisian unions aligned with the communist-dominated General Confederation of Workers (CGT) in France. The French Communist Party, the CGT, and the Communist Party of Tunisia, however, all opposed independence. Their rigid stance prompted a nationalist trade union organizer, Farhat Hached, to break with the CGT in 1946 and create a new federation called the Tunisia General Workers Union, or UGTT (the acronym of its name in French). 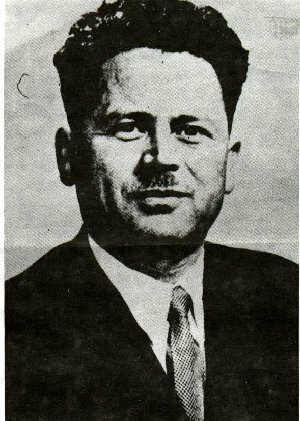 Hached was elected the UGTT’s first General Secretary. He led the UGTT to join the more mainstream social democratic International Confederation of Free Trade Unions (ICFTU) and he gained international renown and support for the federation’s principled and militant trade unionism and its strong backing for national independence. During the French colonial administration’s harsh crackdown on Tunisia’s leading independence organization, the Neo Destourian Party, in 1952, the UGTT and Hached assumed leadership of the independence movement, resulting in the arrest of 20,000 of its members. A French paramilitary organization called “The Red Hand” assassinated many UGTT leaders, including Hached himself in 1952. Hached’s assassination sparked large protests throughout North Africa and Europe that convinced the French government to ease its repressive policy and finally to begin negotiations for independence with the Neo Destourian Party and its leader, Habib Bourguiba (see above). After Tunisia achieved independence, the UGTT initially had a close relationship to the new government, which adopted a number of ILO core conventions, including Conventions No. 87 and No. 98 on the right to form free trade unions and bargain collectively. President Bourguiba, however, began to repress the UGTT when disagreements emerged over economic and wage policy and its branches organized numerous local strikes. In 1978, Bourguiba strongly repressed a national strike organized by the UGTT over economic conditions. A long period of trade union repression led the union leadership to back the 1987 coup of Zine El Abidine Ben Ali, whose government carried out an initial policy of liberalization and cooptation of the trade union movement. Repression soon resumed, however. During the period of Ben Ali’s dictatorship, the UGTT remained the only mass independent organization in Tunisia but the national leadership was often obliged to compromise their positions in relation to the government to ensure the federation’s survival. With 300,000 to 500,000 members, however, the UGTT had a highly differentiated and often independent network of local and regional branch structures that continued to defend freedom of association and to represent workers in collective bargaining negotiations at the local level. Former UGTT leaders broke from the labor federation to create a rival, called CGTT, which took stronger stands towards the regime. While small, it acted to press the UGTT into some more confrontational stances. In December 2010, as the response grew to Mohamed Bouazizi’s self-immolation, local trade unionists mobilized members to often take the lead in anti-government demonstrations. Local union offices became headquarters for the uprising around the country. Under pressure from below, the old more compromising national UGTT leadership was forced to withdraw from the first transition government when it became clear that it would be dominated by Ben Ali loyalists. When the congress of the UGTT was held a few months later, new leaders were elected who fully supported the democratic revolution. In keeping with its historical tradition, the UGTT federation became a leading social force supporting secular political parties and policies and the development of other civic organizations during the transition. Overall, thousands of new civil society organizations began operating after the revolution. As the Islamist Ennahda party began proposing religious provisions to the draft constitution, the UGTT helped organize the National Dialogue Congress composed of 50 parties and civic organizations to support a more secular constitution that guaranteed basic human rights. Among other actions, the National Dialogue Congress backed the journalists’ union in protests against Ennhada’s anti-blasphemy provision that would have placed a straightjacket on free speech and it spearheaded opposition to another proposal to curb trade union rights for national security reasons. Starting in June 2012, local and regional UGTT branches became the object of coordinated violent attacks by Salafist extremists, culminating in the bombing of UGTT’s national headquarters in Tunis on December 5. When the UGTT threatened a national strike, the government agreed to take stronger action against political violence. After human rights leader Chokri Belaid, one of the UGTT’s leading political supporters, was assassinated in February 2013, the UGTT again threatened a national strike to press the government to take further actions. Major demonstrations were organized in the summer of 2013 following a second political assassination of a secular leader to protest political violence and the ongoing stalemate over the constitution. Tensions rose as the opposition party Nidaa Tounes, gaining greater public support, called for the resignation of the Ennahda government and the holding of elections for a new National Assembly to break the constitutional impasse. In this situation, the Secretary General of the UGTT, Houcine Abassi, stepped in to propose the creation of a National Dialogue Quartet to include himself and the leaders of the Tunisian Confederation of Industry, the Tunisian Order of Lawyers and the Tunisian Human Rights League. The Quartet mediated between the opposition and governing parties for a national dialogue agreement in which the governing parties agreed to resign in favor of an interim government prior to new parliamentary and presidential elections and to a process for negotiating the final provisions of the constitution within the existing National Constitutional Assembly. The Quartet’s role was seen as critical to resolving a tense political crisis and ensuring a peaceful path towards Tunisia’s democratic development. The government resigned in early January 2014 to be replaced by an interim government led by Mehdi Jomaa, an engineer and political independent who had served in the Ennahda-led cabinets of Prime Ministers Jabeli and Laarayedh as Minister of Industry. He put together a technocratic government to oversee the final approval of the constitution and the process leading to parliamentary and presidential elections later in the year. The final constitution was approved in February with compromise language on the preamble, the establishment of a mixed presidential-parliamentary system, and guarantees for fundamental freedoms of expression, assembly, association, and religion (see above). The constitution did not override laws in place restricting due process rights and granting wide powers to police for detention. President Moncef Marzouki, however, lifted a state of emergency in place since 2011. The National Dialogue agreement also mandated the appointment of a neutral Independent High Authority for Elections, which was also formed in January 2014 and prepared a consensus electoral law adopted in May by the NCA, which retained legislative authority. The electoral law put in place a gender equity provision, unusual not only for the Middle East but also for the world, that mandated alternating male and female candidates on party lists. As importantly, it set fair conditions for administering the elections that were respected by all sides. Elections for the unicameral parliament chamber, the 217-seat National Assembly, were held in October 2014. The secular Nidaa Tounes won a plurality with 38 percent of the vote and 86 seats, while Ennahda came in second at 28 percent and 69 seats. Thirteen other parties won seats to the parliament. Three secular parties won a significant enough number of seats to join a Nidaa Tounes-led government (the Free Patriotic Union, the Popular Front, and Afek Tounes). In the presidential elections Nidaa Tounes leader Béji Caïd Essebsi won a run-off election against the incumbent president, human rights lawyer Moncef Marzouki. In the first round they received 40 and 33 percent respectively (none of the other 20 candidates exceeded single figures). In the second round, Essebsi won with 55 percent of the vote. The new parliament’s five-year term began in January 2015 and a new government led by an independent was approved quickly. Since the elections, economic and security issues have dominated the new administration. Youth unemployment is around 33 percent. Protests by young people have become a frequent occurrence in cities throughout Tunisia, most notably in the large industrial town of Kasserine in the south. In response the government ordered nightly curfews starting in January 2016. [In the area of freedom of association, Tunisia has the most vibrant civil society in the region. In this regard, the role of Tunisia's labor movement has been unique. Despite these clear challenges facing Tunisia, the country has undertaken a remarkable transition from dictatorship to democracy. Tunisia’s achievements of free elections, a negotiated constitutional settlement, and a peaceful transfer of power in conditions of general freedom are especially remarkable when contrasted with other countries in the Middle East and North Africa where civilian Arab Spring uprisings ended much differently: military takeover and brutal dictatorship (as in Egypt); limited reform leaving repressive monarchies in power (as in Morocco and, to a much worse degree, Saudi Arabia); ongoing political instability and civil war (as in Libya and Yemen); and ruthless suppression of an armed rebellion resulting in national destruction and massive dislocation and loss of civilian life (as in Syria). In the area of freedom of association, Tunisia has the most vibrant civil society in the region. In this regard, the role of Tunisia’s labor movement has been unique. It has continued to represent workers in times of economic distress, championed secular freedoms in the midst of violent attacks by religious extremists, and also led a mediation process among rivals in a tense political standoff to ensure that Tunisia’s political future remained peaceful and democratic. The Nobel Committee recognized this unique contribution by awarding the Nobel Peace Prize in 2015 to the National Dialogue Quartet.